I see a lot of wrists with Cartier watches. Over the most recent decades, Cartier has used other companies’ movements, but that’s changed. Put a Cartier on your wrist, and you’re wearing something that’s stellar on the inside and out. Cartier makes serious watches, especially with the company’s focus on in-house movements. The Renault army tanks that Louis Cartier saw on Europe's western front in 1917 inspired him to create the classic Tank watch. Released in 1919, the Cartier Tank is one of the first wristwatches ever made. In the first year of its production, only six Tanks were produced. The Cartier Tank’s popularity has multiplied by many orders of magnitude since then. The Cartier Tank has never gone out of style. Some of the celebrities who have worked it include Jackie Kennedy, Jennifer Aniston, Harry Truman, Princess Diana, Cary Grant, Rachel Weisz, and Yves Saint Laurent. But there’s one Cartier watch that does something no other Cartier watch—or any watch, for that matter—does, and that’s the Cartier Crash. If the Cartier Crash looks familiar, even if you’ve never seen one before, that’s because it looks like something from Salvador Dali’s painting, “The Persistence of Memory.” It’s not, of course, but when you look at this watch, you can’t help but be drawn into the question, “What is time?” You can’t help but feel less significant than the watch that’s on your wrist. You can’t help but see the lights and shadows that surround the watches in Dali’s surreal painting, even if they’re absent from this watch itself. Salvador Dali's Persistence of Memory. 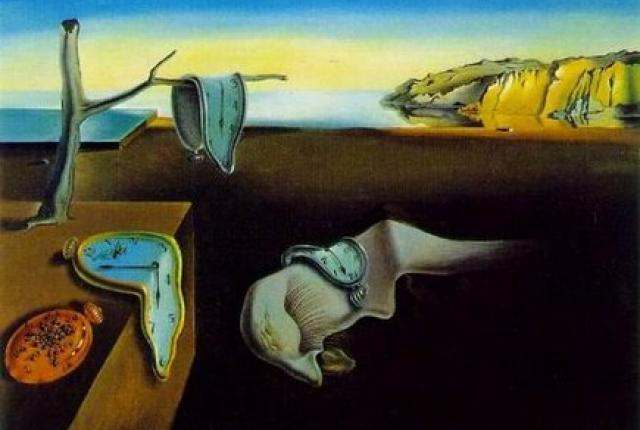 What’s interesting about the connection between the Crash and “The Persistence of Memory” is that there are more differences than similarities between the two, yet the Crash still transports you to the place where Dali’s painting hangs, as if you’re standing right in front of it. 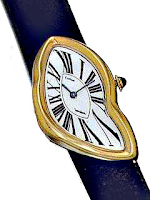 The numbers are different: Dali uses Arabic numbers, while Cartier uses Roman numerals. Dali plays with light, but the Crash has a stark, white face. It’s the brilliance and power of this watch’s design that does the magic. There’s a story that the Cartier Crash, born in 1967, was a result of an accident. 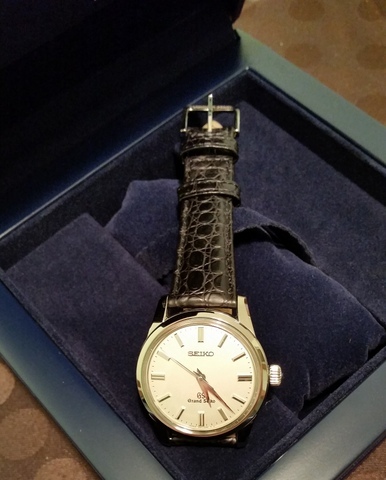 A Londoner’s watch was badly damaged in an accident. Jean-Jacques Cartier couldn’t put the watch back together again the way it once was, so he transformed it. And he like the repaired result so much that he decided to use this design in future watches. But forget about that. Forget all about the watch’s movement and the gold case. Forget about the watch’s price (it’s expensive), and the new model that Cartier had made. Forget about the brand Cartier entirely, because those things pale in comparison to what this watch does. What matters is what you feel when you see or wear this watch. Whether by accident or design, this watch triggers something primitive inside of us. What you feel with this watch is different from what you feel with any other watch you might have on your wrist because what the Crash does is what Dali tried to do: It asks questions about how time works. The watch doesn’t just answer the question, “What time is it?” but it also probes something more fundamental through its shape alone. I think that the Cartier Crash stimulates some yet unknown part of our brain that processes time. That’s pretty cool.